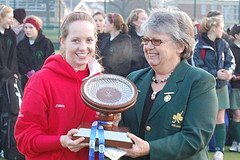 Ulster claimed the rearranged McCullagh Trophy – the U-16 girl’s interprovincial crown – winning the trophy back off Connacht for their tenth success since the trophy was first presented. The tournament’s key moment – played in a rapid-fire blitz format – was to be Ulster’s 1-0 win over Leinster in the fourth series of 30-minute games. Kate McQuillan slammed in from close range after excellent work by the zippy Chloe Brown down the left flank. She found Kerri McDonald who laid off a simple square ball for McQuillan to finish off. Leinster, for their part, created a number of chances, including a couple of corners but to no avail. Ulster’s win proved the only dividing factor between the northern province and Connacht on the day as the pair drew 0-0 and both beating Munster and the South East. Connacht, though, drew 0-0 with Leinster in the second series of games. The westerners subsequent wins d id have them in the lead going into the final matches but had completed their schedule with eight points. It meant Ulster needed a win or score-draw against the South East to take the title. 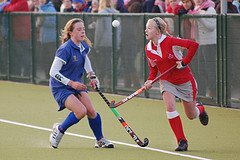 And after initial resistance from Laura Power and Heidi McIllvenney, Ulster finally broke down the South East defences from Ulster’s fourth corner. 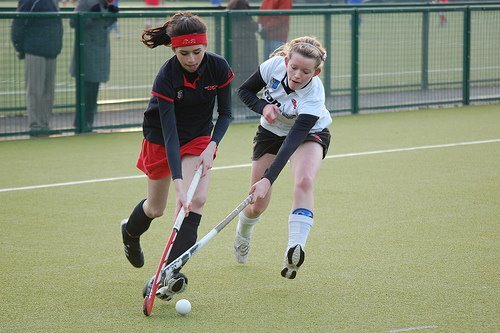 A well-worked routine saw Katie Morris’ bash deflected onto the post by Ulster skipper Leah Ewart. The ball was salvaged quickly, though, and Katie McQuillan thumped home from close-range. From there, the shackles were off and Chloe Brown assured the title; first from a touch at the back post from a corner and then spectacularly volleying into the net and celebrate a fifth title in seven years. The home province got off to a decent start to the tournament with Emily Beatty’s goal enough to beat the South East. A scoreless draw with a highly fancied Connacht leaving a crucial game with Ulster in the third series of games. That 1-0 loss ended the sides hopes before Ailish McNaughton produced the winner over Munster to end the tournament on a high, with a 1-0 win.